I jotted this down in the morning before my flight, and happened to check e-mail at the end of the day. Sadly, I had no idea how applicable my first Tirade Thursday would be. Sure enough, now we’re considering how we might be able to reduce training time by 33% when we can barely keep up with what we’re doing already. Why? No one actually counts beans, I hope. I picture some poor soul in a factory hovering over a conveyer belt, checking off dozens or hundreds of beans. Dear Lord, that’s why we have machines and robots, isn’t it? 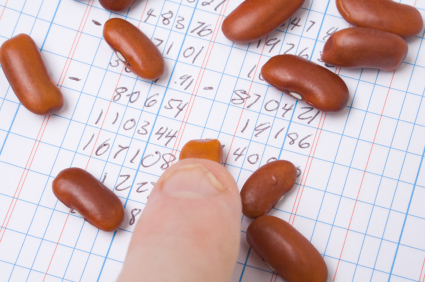 But in the military (and I’m sure in many civilian jobs), there are many things we do count, and “bean-counting” is an expression that captures this need. We absolutely must count these things, because if we don’t count them, how will we know if we are succeeding in our mission? I say that somewhat tongue-in-cheek, because I know that numbers and quantifiable figures generally drive management. No one is ever satisfied with “We produce quality” as an answer unless it is tied to some metric that puts a number on a spreadsheet and shows the quantity of our quality. That said, it’s difficult to stay motivated when bean counting becomes the obvious purpose. “Beans” in this rant refers to any end product or desired result of our business, something that can be given a number in order to show success or failure. Maybe it’s students trained. Maybe it’s flight hours. 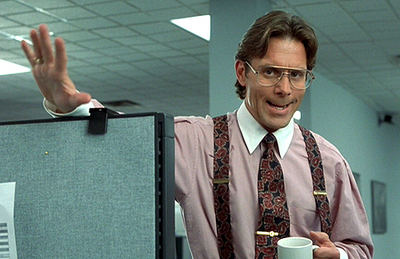 Maybe it’s tickets processed, or TPS reports filed in accordance with your eight bosses’ wishes. A classic military example is how we budget. In order to get the most money out of the upcoming year’s budget, we must show that we used up all the money we received this year. By using it up, we prove that we needed that much money and then some. So when the new budget is drawn up, everyone can see that we need at least as much money as we got last year. Maybe more. So it sits under a tarp for months. But that’s okay, because getting a truck that is useful was not the point. The point was spending the money in order to get the same amount of money next year. And on that note, they succeeded. Great success! Count them beans! Last year, the Chief of Staff of the Air Force put a book on his recommended reading list, and I sure hope some people give it a read. It’s called Start With Why, and it’s all about understanding our purpose in order to make the most of our efforts. Too often, we focus on the beans, the number that captures what we did and how much of it we did. But the beans sometimes become the mission statement; they demand more attention than they are rightly due. We forget the “why” that explains the value of the beans. Without a good grasp of why, all the hows and whats don’t make much sense. No one will ever admit that counting beans (the what) has become more important than feeding soldiers (the why). No one ever confesses that quantity gets far more attention than quality. Quality gets its share of lip-service. But trust me. The peons in the cubicles know what really matters. We’re not fooled. We’re the ones doing the counting, remember? We fill out the trackers and document all the events. No one ever asked how good the beans taste, only how many we counted.